HOF 10!!! 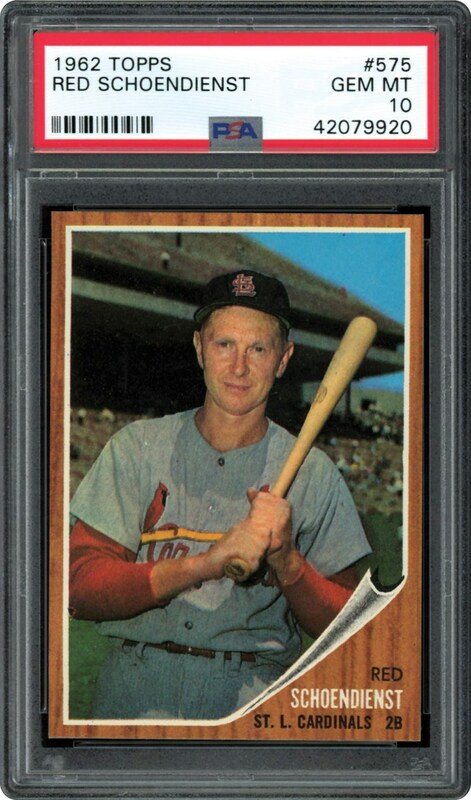 One of the toughest series to collect based on condition sensitivity, this card of Hall of Famer, Red Schoendienst is new to the hobby and received a spectacular PSA 10 GEM MINT grade. Out of 490 cards graded to date, this one of just two graded PSA 10 GEM MINT!. 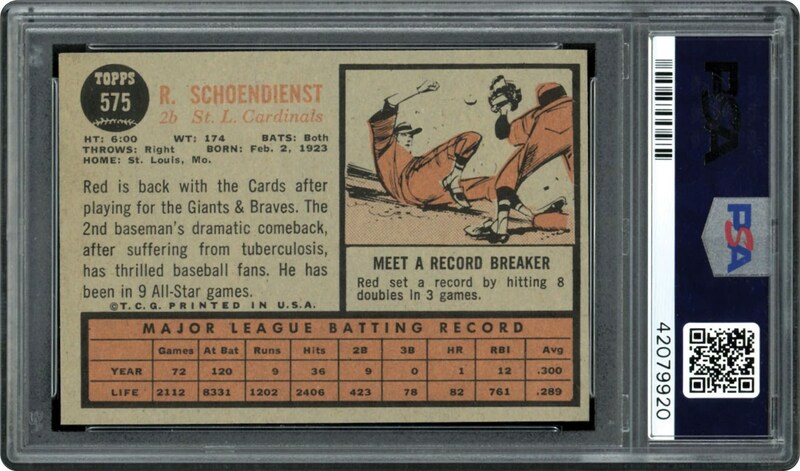 As good as it gets, this one would highlight any PSA Registry Collection.